Tonight the Moon and Venus will make a spectacular pair low in the western sky just after sunset. It will definitely be a sight to see. Tomorrow night (June 15) the Moon will be well above Venus. 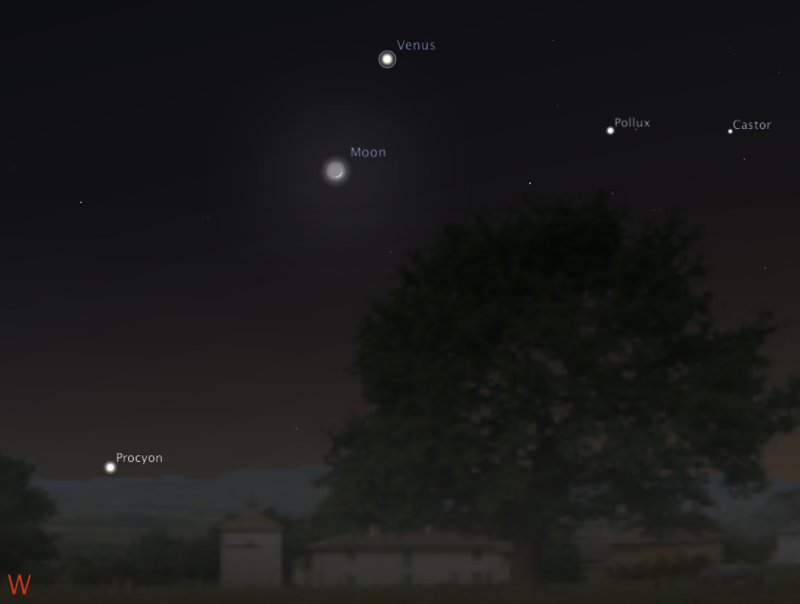 If you miss out you will have another shot to see the Moon and Venus paired on July 14. Fast forward to August 12 and 13 and the Moon, Venus, Mars and Saturn will all be within a few degrees of each other. View of the western horizon after darkness falls on the evening of June 14, 2010. Created with Stellarium. Credit: Carl Hergenrother.